For youth in the mid-adolescent phase of development (15 to 21 years old), life transitions bring new and significant challenges. For crown wards, these social, emotional and practical challenges are sometimes faced without the support of a caring adult. 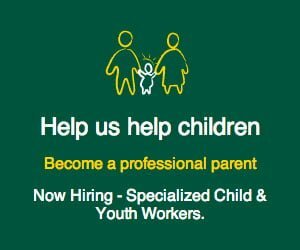 That’s why Quinte Children’s Homes (QCH) offers opportunities for youth to work towards independence within a youth transition program – a safe, family-modelled treatment program. 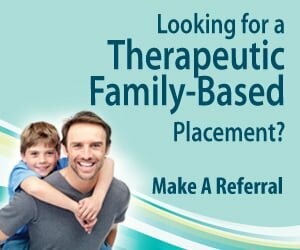 The program has two openings for youth to partner with seasoned parent therapist Michelle Luke, who has experience within both community-based and residential clinical settings. Luke has a Bachelor of Arts degree from Brock University as well as a diploma in Homeopathic Medicine. She is active in the community, is a strong supporter of athleticism and is well connected to local support services for adolescents. Luke has been a mental health counsellor for over a decade. Prior to that she worked at the Children’s Aid Society. She has dedicated her career to working with youth, particularly those ages 16 to 24. Luke and and her young son enjoy playing sports. They like to spend warm days at the skate park and enjoy visiting with friends. They also like to watch movies, play games on the Wii and challenge each other to foosball in the playroom. The program is supported by a network of professionals in the areas of child and youth care, social work, psychology and psychiatry. The team assists in building the strengths of the adolescents and managing any medical or mental health concerns. “It is an ideal opportunity for individuals transitioning from more structured living environments,” says Waplak. If you are working with an adolescent who is striving to finish high school, transitioning to college but not ready for residence, entering the workforce or requires additional support as part of their transition to adult disability services, consider this supportive option. The Luke home is located in Belleville, Ontario and has one opening beginning July 2015 and one in August 2015. Contact us for more information. This entry was posted in Quinte Children's Foster Homes, Youth Transition Program. Bookmark the permalink.